Lead instructor Hank Haney has parted ways with the International Junior Golf Academy and has been replaced by Kevin Smeltz. Haney, the former swing coach of Tiger Woods, has been affiliated with the academy since 2007. The academy features a staff of golf instructors, mental trainers, college placement advisors and fitness coaches who train nearly 150 junior golfers from more than 25 countries across six continents. Smeltz was an instructor at The David Leadbetter Academy and has worked with many professional golfers including Camilo Villegas, D.A. Points and Charles Howell III. 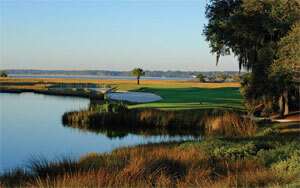 The Greenville native will be based in Hilton Head when not traveling to work with professionals on tour. A common complaint students made about Haney was the lack of time he spent at the academy. Beaufort native Mark Anderson finished eighth on the Web.com Tour earnings list after the final event of the season, earning his PGA Tour card for 2013-14. The top 25 players on the developmental Web.com Tour earn PGA Tour playing privileges. The University of South Carolina graduate has made 29 career starts on the PGA Tour. His best finish was T9 at the Children's Miracle Network Hospitals Classic in 2012. Anderson joined the Web.com Tour in 2010. In his rookie year, he recorded three Top 10 finishes. In 2011, he had four Top 10s and earned his PGA Tour card for 2012. He failed to make the top 200 in the FedEx Cup standings, losing his card for 2013. 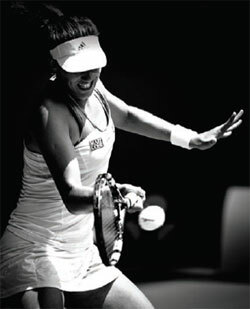 Van Der Meer Tennis has been instructing new players since 1979, raising their level of play in significant amounts. For juniors, a multitude of clinics, camps and lessons are provided; Van Der Meer will even host the South Carolina State Junior Championships in November. There are opportunities for adults as well, for they have access to similar clinics and programs. Ranked among the top 50 tennis resorts in the entire United States by Tennis Magazine, Van Der Meer Shipyard possesses 20 courts, seven hard courts and 13 Har-Tru (green clay) cours. Despite the quality of this center, it has not hosted a professional competition since the Tennis Grand Prix in 1983. Yet, due to a cancelation, Van Deer Meer Shipyard has been granted an opportunity to host such an event once more. Many look at the tremendously popular sport of golf and perceive only a needless drain on the economy, with money uselessly spent on maintenance and development of courses. Experience Green recognizes this idea as a common misconception. They understand that, in reality, the golfing industry provides green habitat for wildlife, increases neighboring property value, and offers members of the nearby community opportunities to grow closer together. 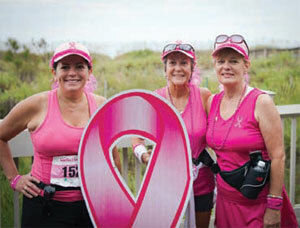 Laura Morgan is the founder of Carolina Cup – a 501c3 non-profit public charity solely dedicated to funding breast cancer education, treatment, and clinical research – and the driving force behind Hilton Head’s fundraising event LoCo Motion. Since 2009, Carolina Cups and LoCo Motion have been passionately dedicated to spreading knowledge and creating hope in the fight against breast cancer. The first two years of LoCo Motion have shown outstanding economic feedback, making the 2013 event look extremely promising. I hit my drive into the Palmetto trees. As you can see, I have two options. One is a clear path to the fairway to the right of the trees. The second option is a gap between the trees that I must keep it low, straight and it requires that I fly the ball over the rough an extra 50 yards. I must consider the risk/reward. The first option has little risk, however, I will have a 180-yard 5 iron into the green. The second option of going through the gap has high risk. If I am successful, I will only have a 100 sand wedge to the green. Which do I take? Johnny Miller, winner of the 1973 Heritage and the 1973 U.S. Open used to live in Palmetto Dunes Resort. He was known for practicing in the trees so he could develop trajectory control and shape the shots to fade and draw. Break out the boa constrictors, put on your favorite straitjacket and have a seat in an electric chair. 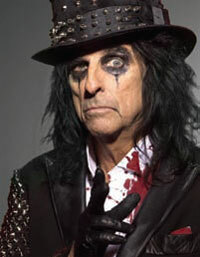 Alice Cooper, the notorious Godfather of Shock Rock, is coming to Hilton Head for the 2013 Celebrity Golf Tournament. The popular event, which takes place every Labor Day weekend, matches amateur golfers with sports and entertainment celebrities such as actor Alan Thicke, Food Network star Robert Irvine and actor Brian Baumgartner, better known as Kevin from The Office. If B.J. Payne knows anything from his previous life as a professional wrestler, it's how to put on a show. And Payne certainly injected energy and excitement into the Hilton Head Island High School football program in his first season at the helm, but the Seahawks managed only a 5-6 record and bowed out in the first round of the Class 3-A playoffs. 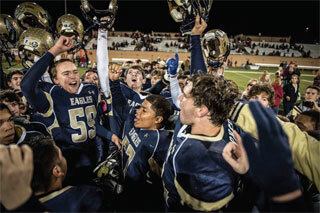 Year 2 tends to be the time when a new coach really begins to make his mark, and Payne thinks his team is poised to make a big jump despite losing a number of key players to graduation. "We're really excited," Payne said. "We have our key group of guys, the upperclassmen who we're counting on to be our leaders, but we're really excited about the younger classes, too. … They're doing everything right. They're putting themselves in position to have success on the field and off." I love the game of golf for the personal challenge and the natural beauty. 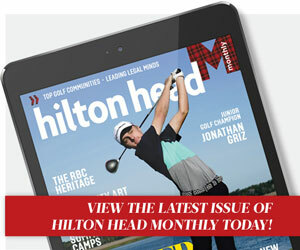 Hilton Head Island golf is attractive to all players because it offers courses that are both playable for the novice and a challenge for the elite. 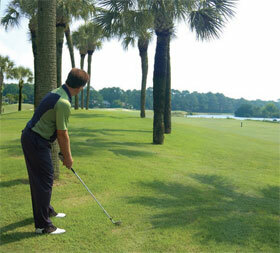 Many courses have as many as six tees to accommodate all skill levels. 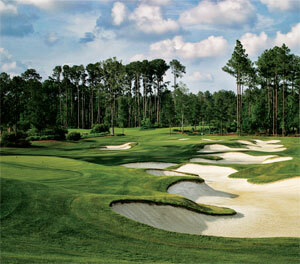 The 8th hole at the Robert Trent Jones course has a black tee from 76 yards and gold tee at 227 yards. Both tees have forced carries over the water, which is full of spottail bass and snowy egrets. 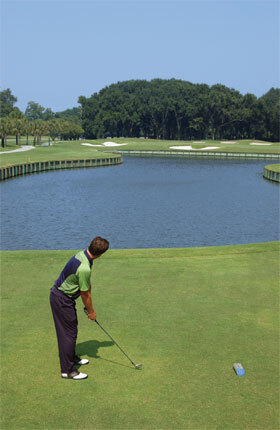 When many golfers reach this hole and see the water, their attitudes suddenly change. You have been playing well the first seven holes, enjoying fellowship with your partners. As you approach the 8th tee, now the anxiety begins to set in. Sweaty palms. Tense grip. Shortness of breath. You begin to doubt yourself and your strategy becomes clouded. The backswing feels short and quick. A mullet jumps out of the water and makes a splash, distracting you for the moment. FOR YEARS, STEVE WILMOT HAS JOKED THAT THE 15-20 POUNDS HE DROPS ANNUALLY DURING THE STRESS-FILLED RUN-UP TO THE RBC HERITAGE ALWAYS FINDS ITS WAY BACK TO HIM DURING THE PLAYERS AMATEUR, AND IT HAS NOTHING TO DO WITH THE IMPRESSIVE BUFFET LUNCHES AND LOCKER ROOM MILKSHAKE SERVICE AT BERKELEY HALL CLUB. OK, MAYBE A LITTLE. But Wilmot's favorite wisecrack works as a metaphor for the Players Amateur's importance to the Heritage, as the amateur event allows Wilmot and his staff at the Heritage Classic Foundation an opportunity to kick up their feet a bit more while fostering relationships with promising young golfers today that pay dividends to the PGA Tour event down the road.